The Nation of the Cook Islands comprises of 15 islands spread over 2.2 million square kilometres of ocean in the middle of the South Pacific. 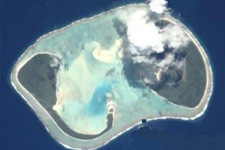 The Cook Islands consists of two main groups, one in the north and one in the south. 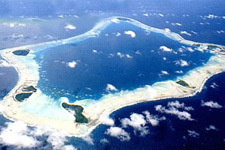 The southern group includes Aitutaki with nine "high" islands mainly of volcanic origin, although some are virtually atolls. The majority of the population lives in the southern group. 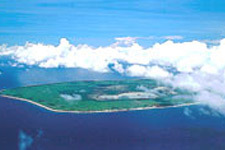 The northern group comprises of six true atolls. 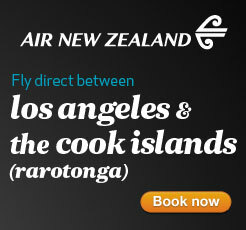 Rarotonga is the gateway to the Cook Islands; we welcome visitors at Rarotonga's International Airport. Rarotonga is the vibrant centre of the Cook Islands, its circular shape is dominated by high mountain peaks from with lush rain forests cascading to a palm-fringed shore. 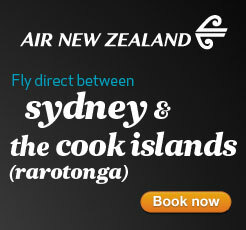 Encircled by a reef, Rarotonga harbours a turquoise lagoon and many secluded white sand beaches. One of the main attractions of Rarotonga is that it is authentic, not a manufactured destination point for tourists. It is an idyllic place for travellers seeking lost horizons and for those interested in the ways of Polynesia. 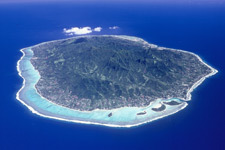 The island's present-day name stems from 'raro' meaning 'down' and 'tonga' meaning 'south'. The island of Atiu is the third largest in the Cooks group known for its limestone caves and ancient burial sites, the Takutea Bird Sanctuary and Tumunu bush beer parties. Take a coffee tour through plantations and the factory, the Atiu Fibre Art Studio Tour or the Atiu Women’s Arts and Craft Market where you can purchase traditional art and craft. The island of Mangaia is the southernmost and the second largest of the Cook Islands. The oldest island of the group seen to be 18 million years old. Renowned for it's 'ei pupu' (shell leis) and numerous limestone caves some of which have been used as ancient burial sites. There are various tours available on the island including a variety of cave tours, a 4-wheel drive safari cross-island tour, special interest tours, beach and inland picnic tours. Uncommercialised and with a relaxed pace of life, Mauke offers peace and seclusion 'off the beaten track'. Three villages, Areoa, Ngatiarua and Kimiangatau are close to the western coast of the island leaving the arable inland area for a variety of food crops and other farming activity. A rugged Makatea (fossilized coral)is evident around some sections of the coastline containing interesting limestone caves and secluded white sand coves. Mitiaro is definitely a place for visitors who like peace and quiet and a chance to read a big book you have always promised your self! The fourth largest island in the Cooks group with crystal clear pools ideal for swimming. Much of the centre of the island is covered by the two brackish lakes; host to a plentiful supply of itiki (eel), a local delicacy. The island also produces tiporo - a fragrant lime. 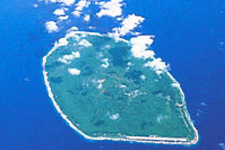 The unique social fabric of this atoll arises from the last century when Englishman William Masters settled here with his two Rarotongan wives. The resulting small population now share the same surname and speak a local dialect, itself a mixture of Cook Island and English languages. Accessible only by sea, a few adventurous travellers visit the island each year to experience life on this remote outpost. 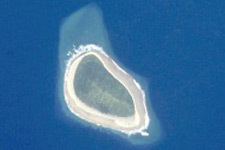 Manuae is east of Aitutaki - an uninhabited atoll now declared as a marine reserve. 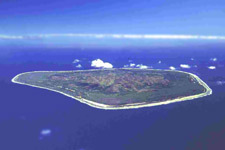 Manuae is as an important breeding ground for seabirds and marine turtles in the Central Pacific. The offshore waters of Manuae are good fishing grounds. 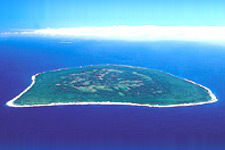 Takutea, a sanctuary declared to protect the breeding site of a number of seabirds, lies 50 miles northeast of Atiu. Members of the Atiu community make regular trips to the island to monitor the sanctuaries condition. For more information on the Southern Group of Islands or to find out about the Cook Island’s Northern Group please click here.